The Grenada National Swim Team was pleased to have had the pleasure of a visit by Hon. Norland Cox, Minister of Youth Development, Sports, Culture & the Arts as he made his first call on a sporting federation in his new capacity. As the team assembled for their final Carifta practice on Tuesday morning prior to departing for Jamaica, Minister Cox paid an early morning visit to share some words of motivation and encouragement with our national swimmers. Minister Cox urged the swimmers, in addition to their training and preparation for their events, to spend some quiet time in reflection with God and keep him at the centre of all that they do. The minister praised the swimmers for their achievements thus far. “I have been following the progress of swimming prior to assuming this new position,” stated Cox, as he indicated how impressed he has been with the many accolades our swimmers have brought to Grenada. In his brief remarks he acknowledged the strong support the swimmers receive from their parents and impressed upon them how thankful they must be for the support they have received. Minister Cox pledged to engage the Grenada Amateur Swimming Association (GASA) in order to continue to develop the working relationship already established. The minister acknowledged the requirement for improved facilities for swimming and committed to do all in his power to support GASA’s drive for improvement in this area. The swimmers were honoured to have been the visited by the minister as they prepare to leave the island for this very important regional competition. 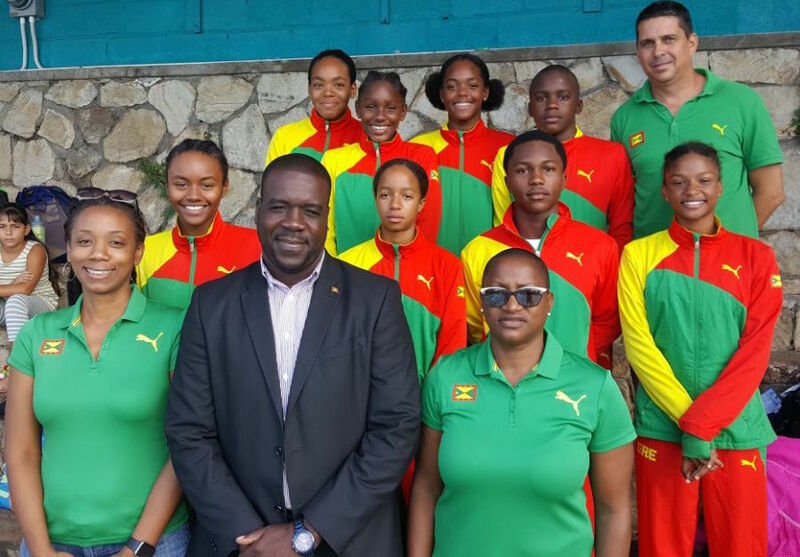 The 10-member team coached by Coach Gerson Escobar and managed by GASA’s Secretary Reyan Neckles will be accompanied by the President of GASA, Peron Johnson, as the head of delegation and supported by GASA’s Immediate Past President Nigel Ollivierre. The first batch of the team departs on Tuesday afternoon with the remainder leaving on Wednesday.